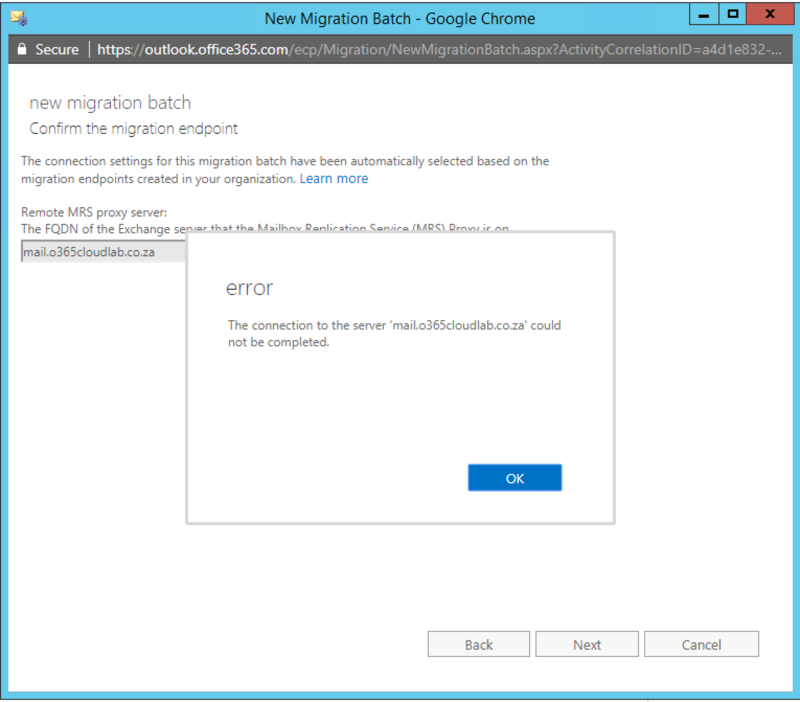 Use receive the following error when migrating from Exchange On-Prem to Exchange Online. After receiving this issue, I decided to look further into the MigrationEndPoint using PowerShell for EXO. 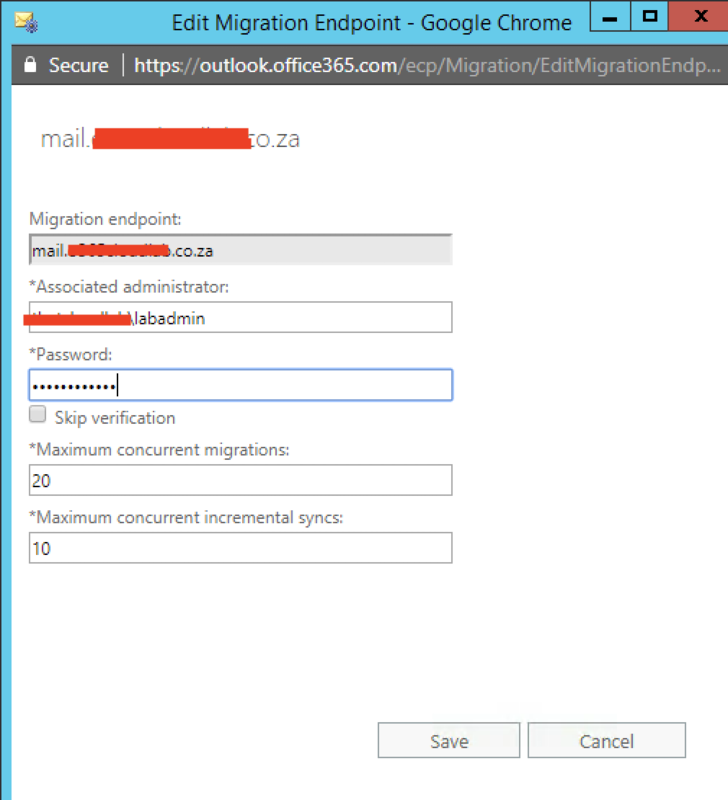 Here I can see that the user who created the Hybrid Setup no longer exisit , so the next step is to modify the Migration End Point account details. 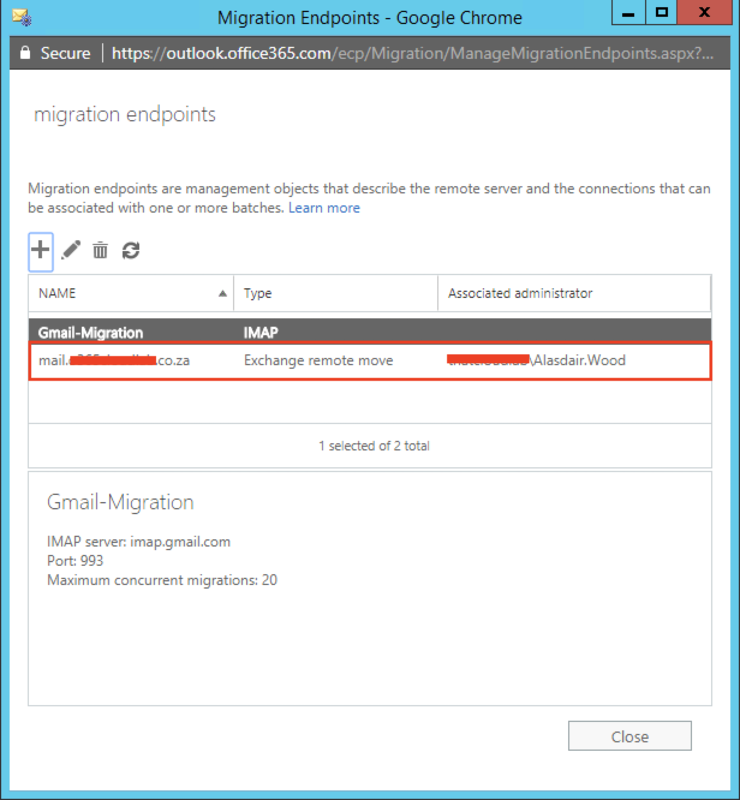 Then select Migration End Point. 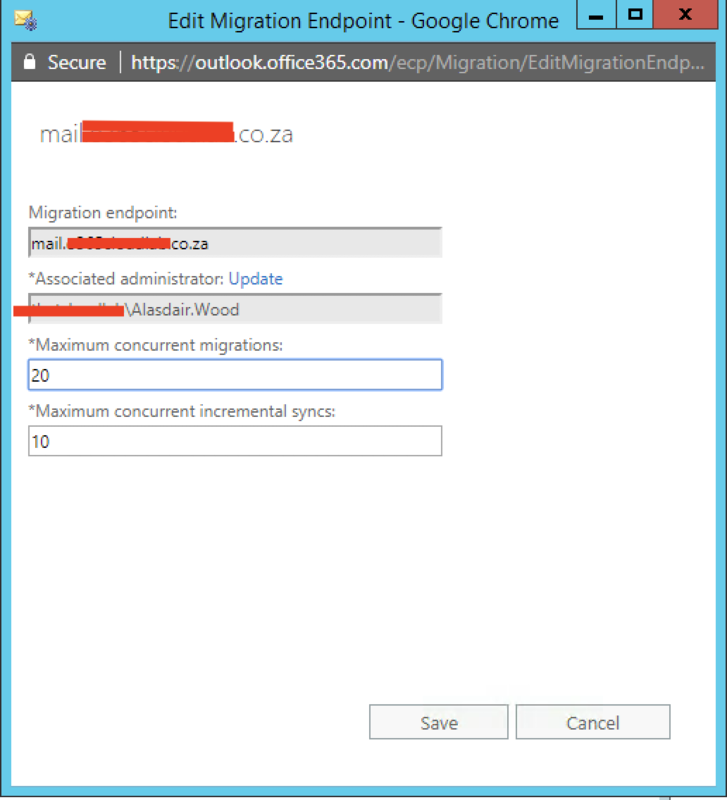 From the Migration Endpoint Menu click on your Migration EndPoint which was created during the Hybrid Setup. After selecting the EndPoint click on the “Edit” button. 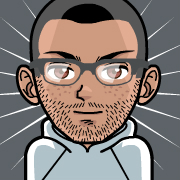 Click on Update, to modify the current user and change it to a valid service account that has the needed permissions. Once the user name and password has been updated, click on Save. 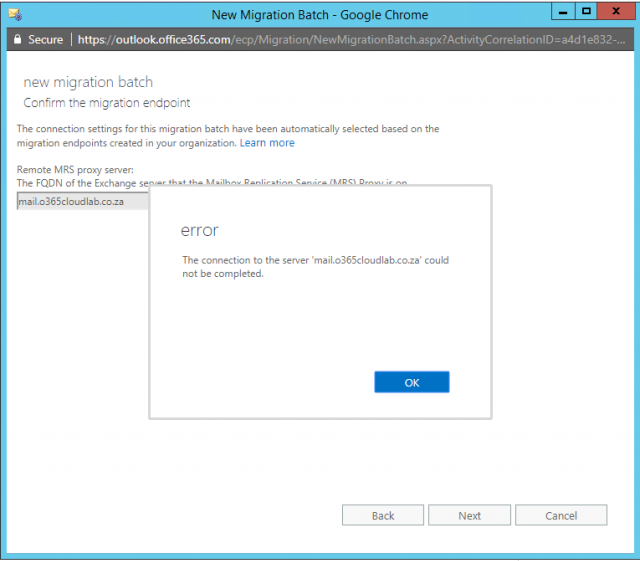 Then create a new Migration Batch job. As we can see the newly created migration Batch is running and syncing the user. 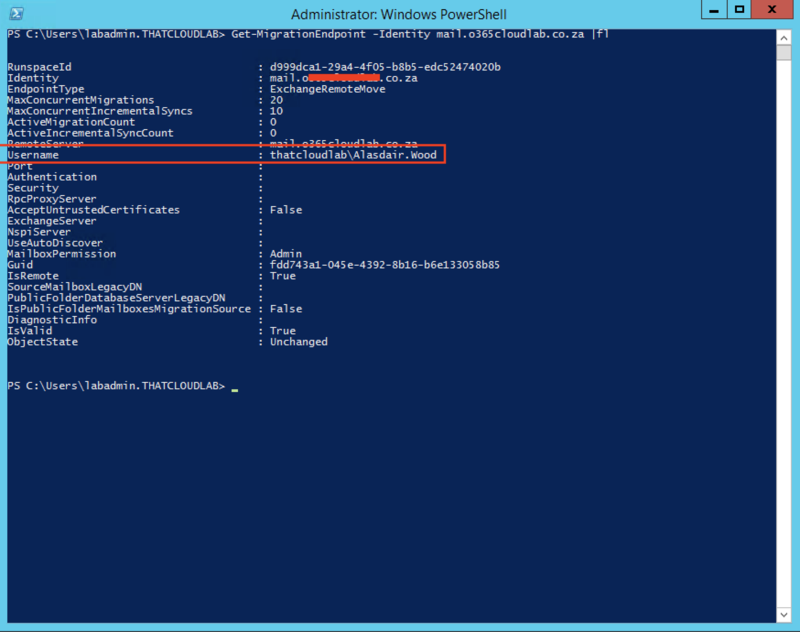 Previous articleApply Exchange 2013/2016 License Key using PowerShell. Next articleBlock Office 365 Sign-In based on On-premise Active Directory Security Group.